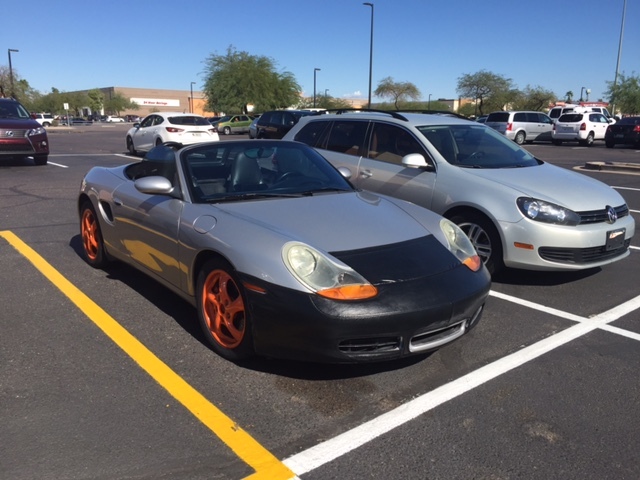 Just got bit by the AX bug earlier this year and I'm trying to improve my times but want to keep my 2004 986 S as stock as possible. 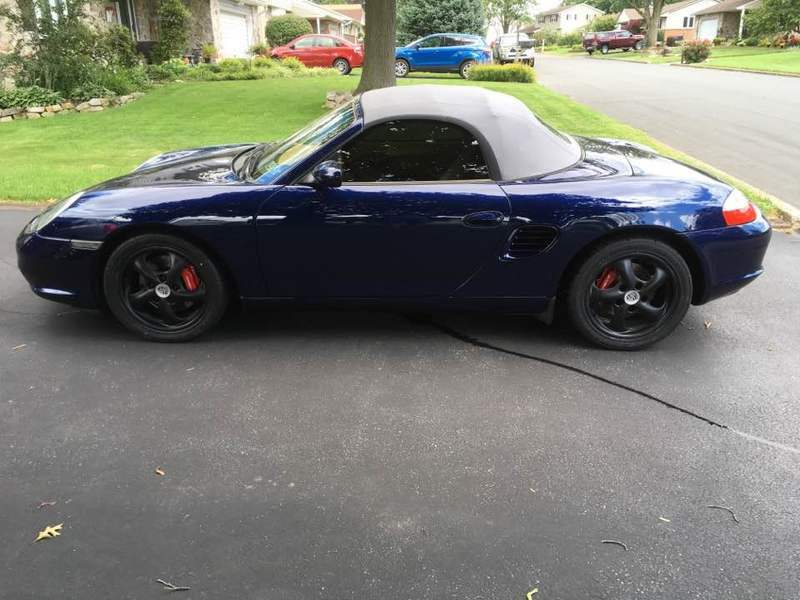 I just purchased a set of 17" turbo twists to replace my 18" wheels. 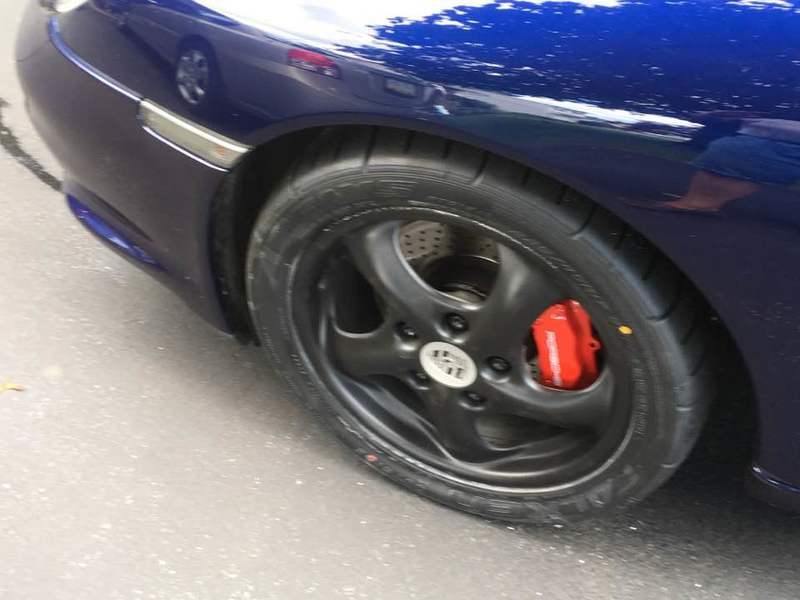 The 18's have Michelin all seasons mounted on them and want to keep them on for non track days. So I decided to get track wheels and tires to install for the track. 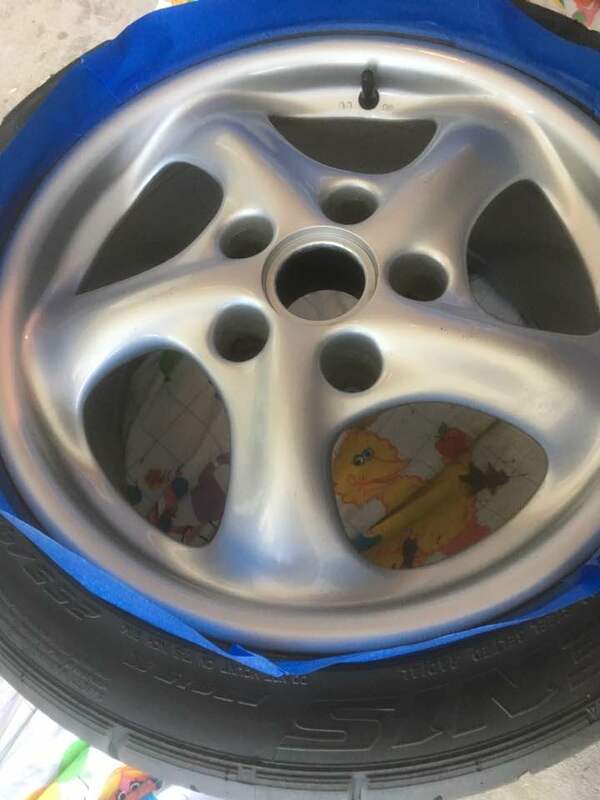 The results showed they would fit but the chart also mentioned that the outside of the tire would not poke out as far as the existing. 11.4 mm on the fronts and 4.4 mm on the rears. Would it be advantageous to add 10mm and 5mm spacers to the car? I'm not sure if the track would be wider at that point? Personally, I'd put 15 on the front and 10 on the back. I'm running ET 40 on the back and ET 50 on the front with 10mm spacers. Very planted. I have the exact same setup. I have 15 mm spacers all around and I keep them on permanently for my daily driver 18 in wheels, and for the 17 in track setup. You really need 15 mm in the front IMO. You could probably get away with 10 mm in the rear though. 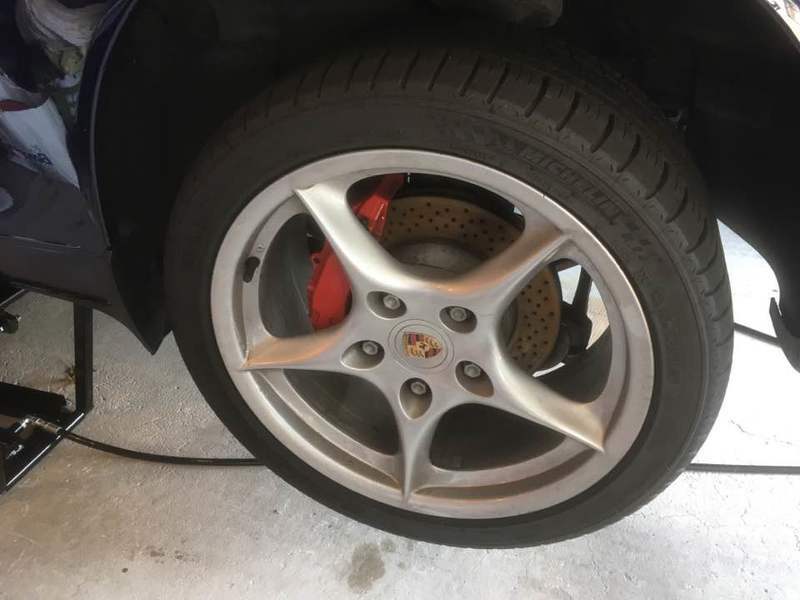 I run the same wheel/tire setup and use 12mm front and rear with no poke and no rubbing. Thanks for all of your advice everyone. I have the same as your original set-up with 15mm in the front and 20mm out back, sits nice and square. Just finished my setup for wheels and tires on my 04 S in order to be ready for the next AX. My starting point was to remove the 18" Michelin AS3 All Season tires to get ready to move to the 17" Turbo Twists. 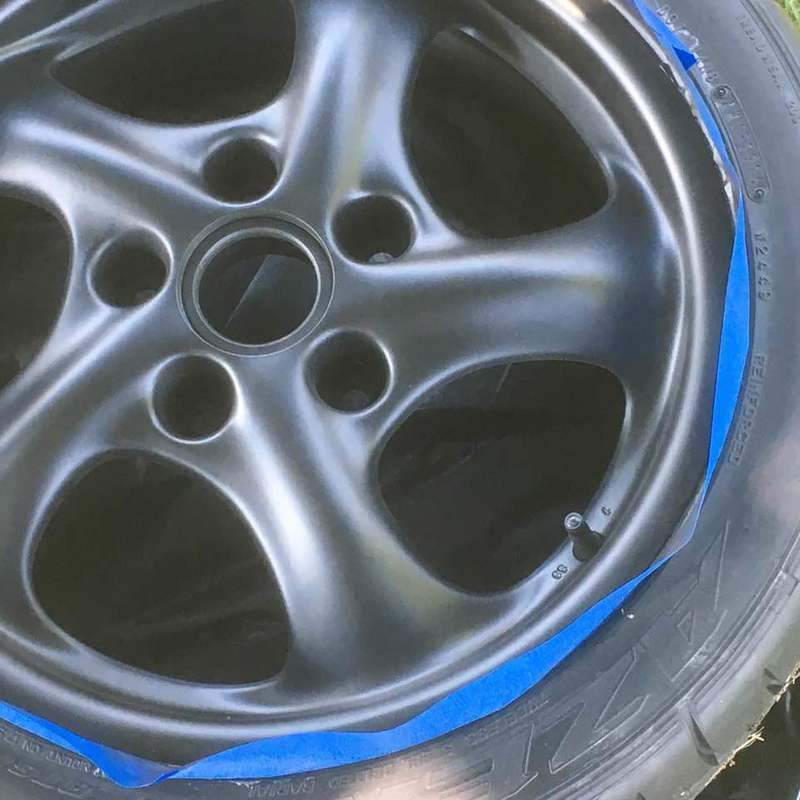 I wanted to try a different look, so I decided to Plastidip the wheels Black, I wanted a grey but not available when I was shopping. Added 15 mm spacers to the front and 10 mm spacers to the rear. 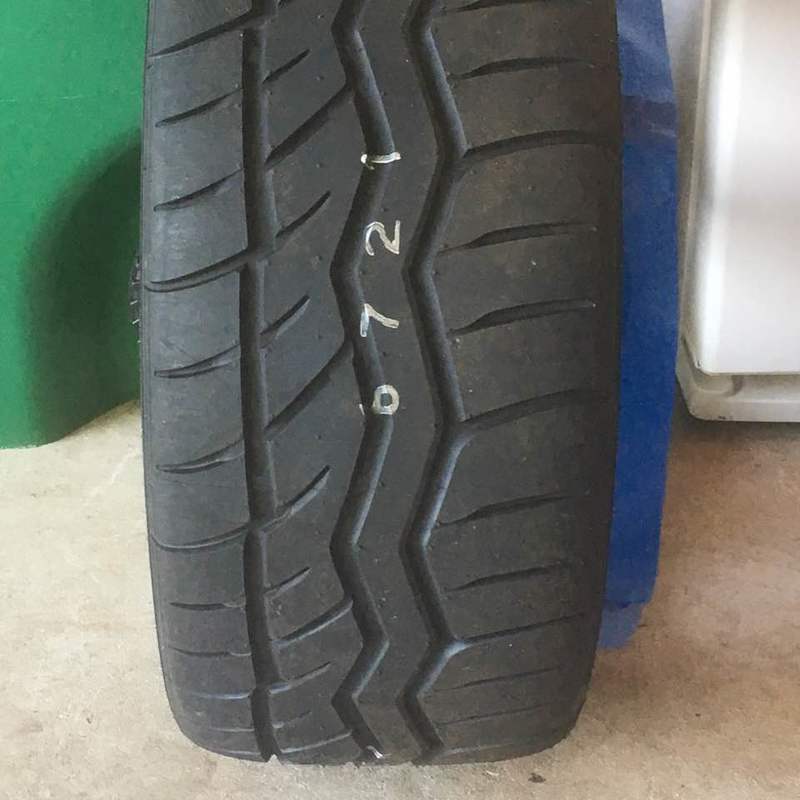 I picked up the Falken Azenis RT615K's on special closeout pricing of $400 plus shipping (price has gone up about $10 per tire since I purchased). Here are the results. I went for a quick run and was pleased with the feel and the handling. Can't wait for the next AX! Where did you find the wheel mounting alignment tools? I had one for my old BMW but can't find ones for the 986. First, the bigger the spacer the harder it will be on your wheel bearings. New bearings are not expensive to buy ($50 each, but outrageously expensive to replace for labor costs ($400 or more per corner). It's not worth it for a more aggressive look in my opinion. Second, if your wheel is out of balance spacers can accentuate vibration. 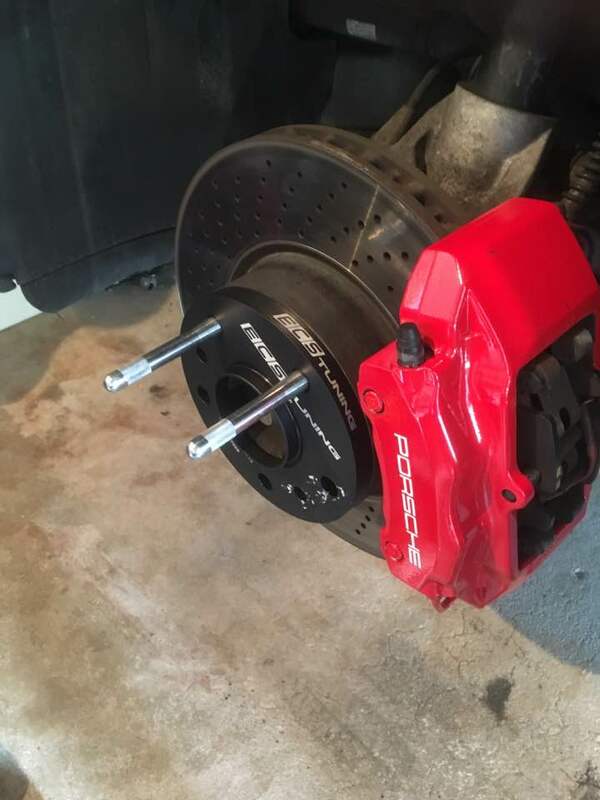 After replacing all four of my wheel bearings, I ditched my 15mm spacers and went with the smallest spacer required for my 18 inch rims to clear the struts (5MM). BrantyB - I'm not sure, I purchased them 4 years ago, I believe it was through Suncoast for approximately $10 each. 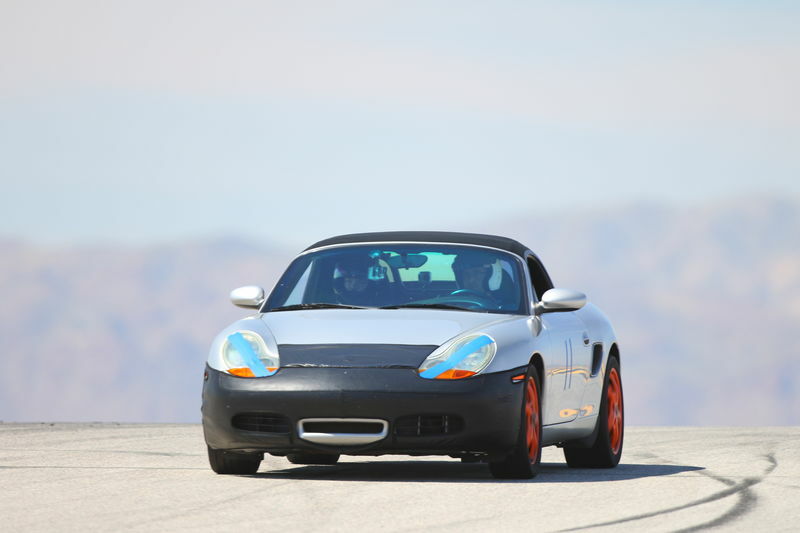 Randall - I started with 18" wheels on the car originally and went down to 17". I used 10mm spacers on the rear and 15 mm spacers on the front to help with the clearances. The wheels and tires were balanced by my shop and I've not experienced any vibrations while driving both locally and on the interstate. Thanks Fred, I value your opinion. BTW - I can't wait for your new infotainment system. Put me on the list!